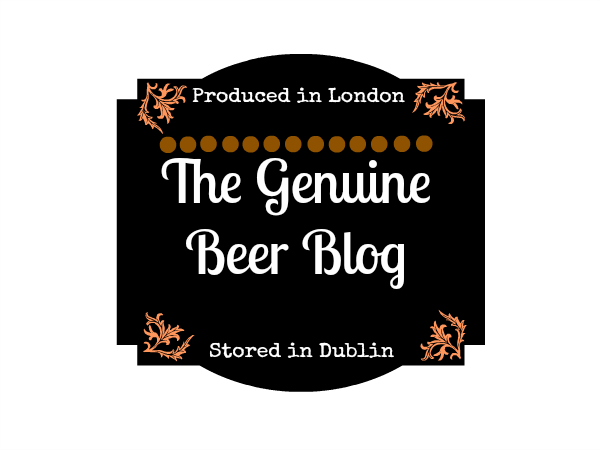 Today's post is the start of a new collection of posts that will be a regular feature of The Genuine Beer Blog; looking at great pubs, bars & restaurants that serve high quality beer and great food, throughout Ireland. 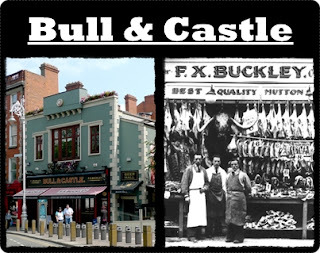 Today's post kick starting this new feature is a fantastic Pub/Restaurant set in the heart of Dublin; today we are looking at the Bull & Castle in Dublin's Christchurch, Dublin 8. The Bull & Castle is a fantastic pub that stocks a huge variety of craft beers from not only Ireland, but all over the world; it also has a reputation for absolutely outstanding food. This outstanding food all comes down to the history of F.X Buckley; one of the longest running butchers in Dublin. Francis Xavier Buckley opened his first butchers back in 1930 on Dublin's Moore street, which has since become a well known cornerstone in Dublin. 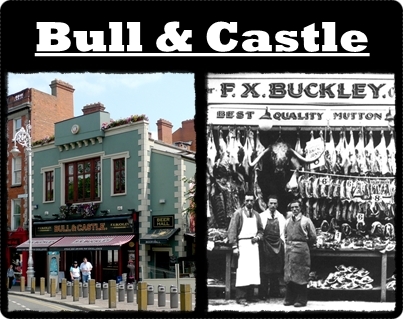 This prestigious butchers provides the best quality meat to all of their steakhouses around Dublin, which can be experienced in the Bull & Castle. This great meat comes down to the hanging process that is used and also to the knowledge and great breeds of cattle that are used to produce their top quality meat. 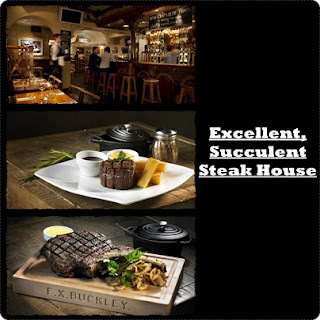 The knowledge of their meat is also evident when it comes to the cooking process; where you will be given the chance to have your steak prepared however you like it, from blue to well done; not to mention a huge selection of steaks available. This therefore sets you up for a great meal that can only be accompanied with fantastic beer; this is something that the Bull & Castle has heaps of. The Bull and Castle prides itself in offering its customers a huge variety of beer and other alcoholic beverages from all over Ireland and the rest of the world. The Bull and Castle provide a huge selection of craft beers; gently persuading its customers to try something different from the main stream beer that is out there. If you have an open mind about beer and are up for trying some fantastic craft beer then you really should give the Bull and Castle your attention. There is a vast menu of beer to choose from which people may find overwhelming and not really know where to start. This is not a problem as the great staff at the Bull and Castle will help you to find a beer that will suit your taste, asking which style of beer you like and what flavours your enjoy; matching a beer to that taste. 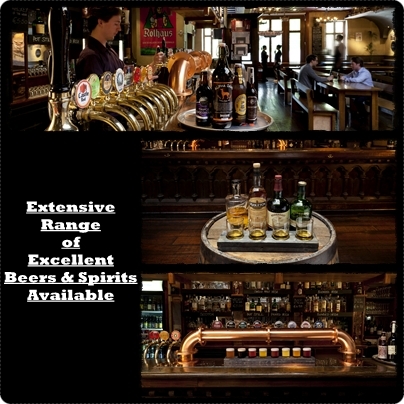 You are also able to get a tasting tray, where you can try either 4 beers (small tray), or 8 beers (ultimate tray). This gives you the opportunity to try a huge selection of different craft beers from all over, its a fantastic opportunity. The Bull and Castle has beers ranging from Ireland to America, from Scotland to Germany and from England to Belgium, you will definitely find a beer that you will enjoy that you may not have tried before. If beer isn't your thing, not to worry as they also offer a fantastic range of Wines, Ciders and Spirits; something for everyone; there is also a cocktail menu to help get your evening started. I really cannot highlight enough what a fantastic establishment the Bull and Castle is; it really will not leave you disappointed in the slightest. 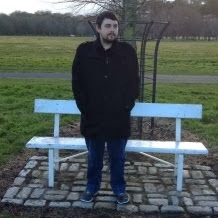 I would highly recommend giving the Bull and Castle a try, if not for the great selection of alcoholic beverages available; but for the fantastic steak house menu or even the finger licking good bar menu upstairs. for fantastic food and a huge, amazing selection of Craft Beer; a real must visit Pub. 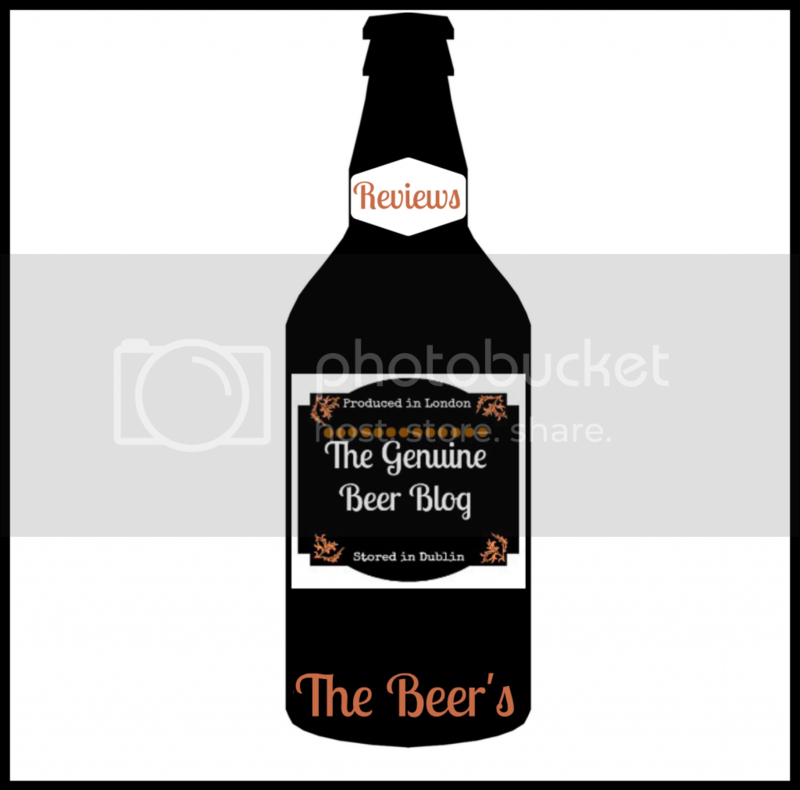 If you are a pub/restaurant interested in The Genuine Beer Blog doing a feature post on you; or if you have any suggestions of must try places, please drop me an email at shaneraiseurglass@gmail.com.